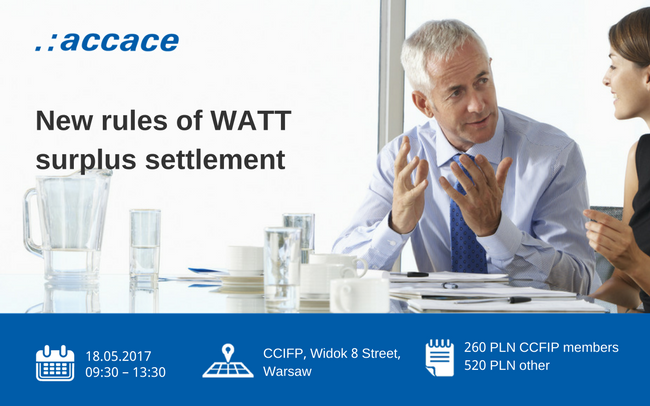 On May 18th, in co-operation with French-Polish Chamber of Commerce, Accace organizes a seminar during which Agata Nieżychowska, Tax Advisor and Tax Director in Accace will introduce you to tax issues related to the new rules of VAT surplus settlement. Seminary is addressed to the employees of financial departments, enterpreneurs, Members of the Board. Welcome!